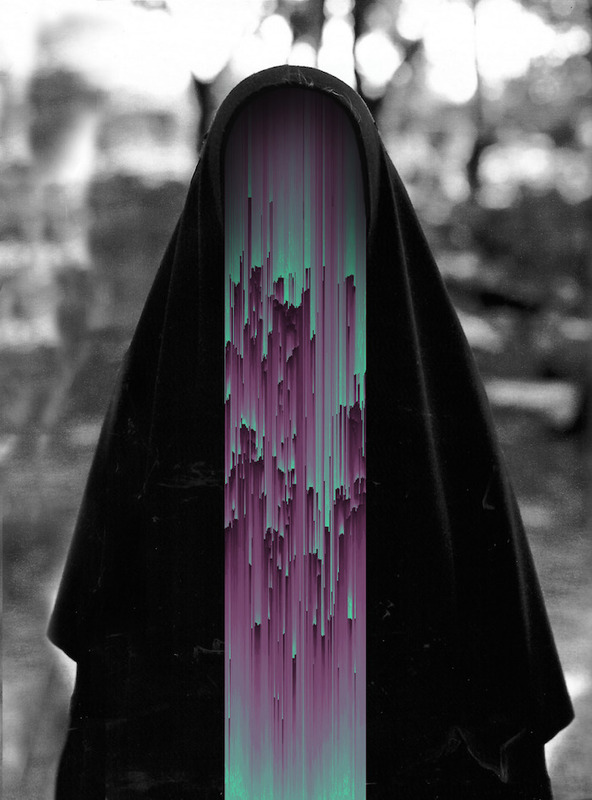 Giacomo Carmagnola is an Italian graphic designer who disagrees with the current state of Glitch Art. He shakes up the field by exchanging digital computation with human intuition. Mixing the occult with the emotional with a dedicated eye he is able to abstract and curate sinister images that give you raw phychological thrills when you look at them. Often with an face replaced by bleeding pixels, the entities tell their story miraculously without an mouth or expression. He started his study being interested in psychology, and is not shy on displaying an more emotional state of being. As he calls himself 'a person who analysis himself a lot', and equipped with an introverted mindset, his pieces are an expression of his thoughts. “In dark times they are a bit darker, in happy times a bit happier” he states, but all with an engaging angle to it which he displays through the entities in his photo montages. As if a window into heir soul. An interface into their lives. Giacomo will be exhibiting work at our INTERFACE Art+Tech Festival running October 5-8th, 2016 at Fort Mason. His work has been featured in a poster for the festival.